After 40 years of the most incredible music, Queen still have it tenfold. A special concert and ceremony will be held to honor them, and the other recipients of the award, later this summer. ‘This year’s Special Merit Awards recipients are a prestigious group of diverse and influential creators who have crafted or contributed to some of the most distinctive recordings in music history,’ said Neil Portnow, President/CEO of the Recording Academy. 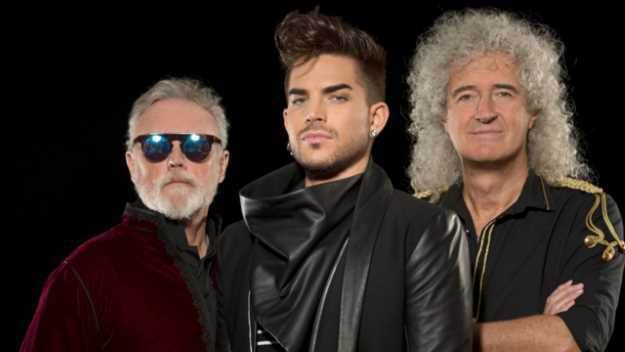 Having taken on Adam Lambert as their new frontman in 2012, 21 years after Freddie Mercury died, Roger Taylor and Brian May have taken the band and toured the world, most recently wowing with their set based on their album News Of The World at London’s O2 Arena. They received rave reviews for their performance, not least from us, as they brought the biggest rock and roll show to London, where both Taylor and May proved their undeniable talents need no fan fare as they do it all themselves, along with the impressive Adam Lambert. Queen are well overdue this award, having had nine number one albums, and have spent 1484 weeks in the top 75 according to Official Charts. They already have two recordings enshrined in the Grammy Hall Of Fame, Bohemian Rhapsody and We Will Rock You/We Are The Champions. Other recipients of the award are&nbsp;Hal Blaine, Neil Diamond, Emmylou Harris, Louis Jordan, the Meters, and Tina Turner.